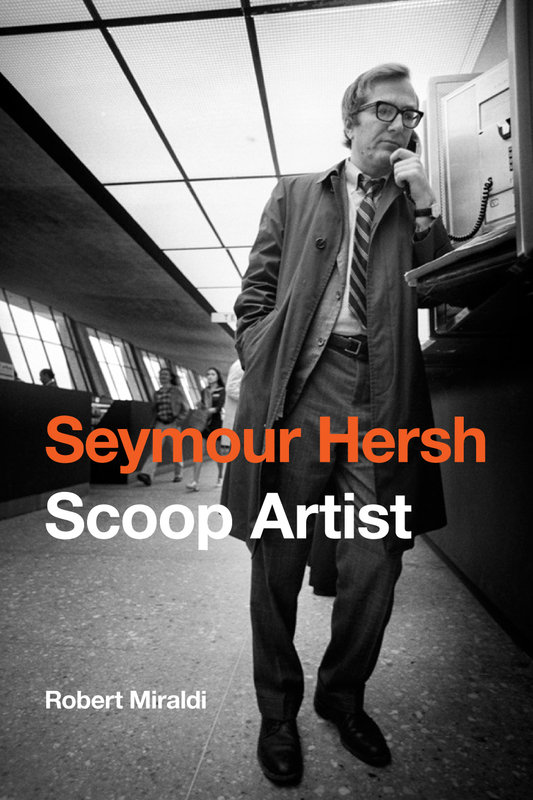 Scoop Artist tells the story of Seymour Hersh, the quintessential American investigative reporter whose exposés over the past 50 years have shocked America and the world and shaped American public policy. Beginning in 1969 when he exposed the massacre of innocents at the village of My Lai in Vietnam to 2008 when he revealed the prison scandal at Abu Ghraib in Iraq, Hersh has been America’s foremost modern muckraker. A fierce and unrelenting investigator and a self-described “wildman,” Hersh is reviled by the political right and the darling of the political left. Author Robert Miraldi follows Hersh from the streets of Chicago to the newsrooms of the most powerful newspapers and magazines in America, chronicling the work of the Pulitzer Prize-winning journalist and author, who for five decades has been a fiercely independent, outspoken and controversial thorn in the side of a half dozen presidents. Three of his eight books have been best sellers; all have caused heated controversy. While becoming arguably the best investigative reporter in the country, Hersh, now 76, has won virtually every prize in American journalism. In 1969, when he made My Lai into a household phrase, Hersh became, as the author argues, the journalist the political right loved to hate and the father of a conservative movement against a “liberal” media. His exposés have drawn the fury of targets from Richard Nixon for his administration’s spying on American citizens to Henry Kissinger for illegal bombing in Cambodia to George W. Bush for a war in the Mideast gone awry. Hersh’s work — as captured by Miraldi in lively prose — is a snapshot of some of the biggest stories in America through its most turbulent decades – episodes that have put the reporter in the headlines because of his frequent use of anonymous sources and the controversial nature of his exposés. His work has revealed America’s hidden arsenal of biological weapons; Israel’s clandestine nuclear weapons; the drug-running illegalities of Panama strongman Manuel Noriega; John Kennedy’s sexual exploits and the risks they posed to his presidency; General Barry McCaffrey’s alleged war crimes in the waning days of Gulf War I; and, not least, horrific torture at Abu Ghraib. When the Watergate scandal stalled in 1973, Hersh, reporting for the New York Times, discovered the “hush” money and got the story back on track, leading to Nixon’s resignation. Hersh’s reporting for the past decade on the Mideast for The New Yorker has made him the man Americans turned to get an unvarnished and inside “scoop” on a roiled foreign policy since the attack on the World Trade Center. This unauthorized biography is a critical assessment of his work, as well as a fast-paced look at his life. It assesses the controversies he has spurred and, in particular, looks at his methods, tackling the two major criticisms made of him. First, that he uses countless anonymous sources that cannot be verified or trusted. The second relates to motives. Does Hersh’s well-known progressive bias make him unreliable as a reporter, coloring his point of view? Is he, as one critic suggested, “the terrorist of American journalism”? This first-ever biography captures a career of important exposés and stunning accomplishments from a man whose unpredictable and quirky personality has turned him into an icon and the unrivaled “scoop artist” of American journalism. From his work for the Associated Press to his exposés for the Times to his twenty years of reportage for The New Yorker, the award-winning author captures five decades of the tenacious and combative Seymour Myron Hersh.